7007 Knock Out Low Bleed White by International Coatings is a low bleed, high pigment, fast flashing, low tack, non-phthalate plastisol screen printing ink. 7007 Knock Out Low Bleed White has a creamy viscosity and medium body, making the ink suitable for both auto and manual presses. This ink offers superior performance through fast production speeds, and its brightness and opacity. International Coatings' lowest bleed white formulated for tough to print polyester or polyester blend fabrics. (As with all low bleed inks, preprint and test all fabrics to be used for dye migration, ink adhesion, wash fastness and other desired properties before beginning any production.) 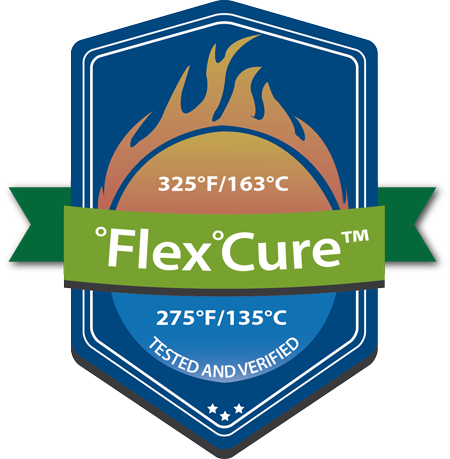 The 741 Ultra Low Bleed Polyester white is part of the FlexCure line and can be cured between 275°-325°F. 158 Creamy Glacier White is the latest, most dramatic white. It exhibits a brilliant whiteness, so white it almost glows! Glacier White has a soft, creamy consistency that is easy to print but also has a very high opacity. It has good flash times and fair low-bleed qualities. Prints on 50/50 cotton poly blends and 100% cotton. Excellent for use as an under-base as well as a “finish” white where you need areas of a design to pop out. Glacier Plus White, XOLB-159, is QCM's answer to the question, “Can an ink have ultimate opacity and still be easy to print?” Glacier Plus White maintains the brilliance you expect from the Glacier line, but has been modified for maximum opacity. Manual printers will be pleasantly surprised that the XOLB-159 is still as soft and smooth as the XOLB-158. All that, and Glacier Plus White has bleed resistance suitable for most of your bad bleeders.